Include your Facebook page in Community Builder. By this plugin you can include your Facebook page in your Community Builder Profile. It creates one tab in CB profile, where will be shown your Facebook page. The page address can be entered in two ways: by a Community Builder field or by a custom URL. In the first case, you have to create a text field in CB and select it in the plugin settings; each user of Community Builder will enter own Facebook page address, which will be shown on the user profile. In the second case, the address of the Facebook page, is entered directly in the plugin settings; each user profile, in this way, will have the same Facebook Page shown. This Community Builder plugin is helpful for websites which needt to allow to the users the possibility to integrate Facebook in Community Builder. For example in a franchising website, where each user is an affiliate shop, can be useful to insert the Facebook page of each shop inside its CB profile. This plugin can work in two ways. 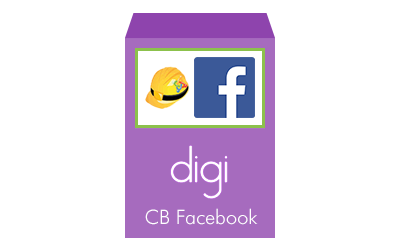 The first way is useful to display a different Facebook page for each CB user profile, allowing to the users to enter its own Facebook page URL from the front-end. On the CB tab page you have to select "CB field" as page source, then you have to select, from the drop down menu, which field contains the Facebook page URL. The second way is useful to display the same Facebook page to all CB user profiles; in this case only the Super User can choose the page URL from the back-end. On the CB tab page you have to select "Custom URL" as page source, then you have to enter below the Facebook page URL. Then you have all the Facebook API options to include a page: page width and height, hide the cover, show the facepile, small header, html5 or iframe inclusion, http or https inclusion. Intro text and end text are available too in the plugin tab, to wirte something about the page to website visitors. This plugin needs Community Builder to run? Yes, this plugin is made for Community Builder, so it needs CB installed to run. How I can install this plugin? This plugin can be installed directly through the Community Builder plugin manager. How many Facebook pages I can display? When "CB field" is selected as page source, you can display a page for each user in Community Builder. Users can set own page URL directly on the website or during the registration process. I can't see the Facebook page tab? Please be sure to have entered the correct settings in the tab, and if "CB field" is selected as page source, be sure to have published the right field and to select it as visible on the profile.